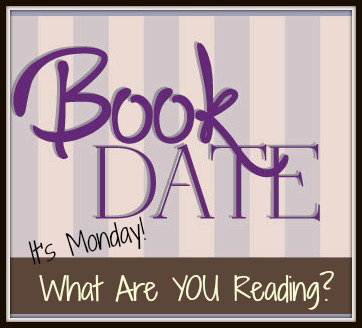 That was a nice mix of books last week plus you read a lot! Tai Chi? That’s awesome! I loved Marilla and it made me want to reread all the Anne books! I’ll be curious to see your review of The Dream Daughter. I want to read Diane Chamberlain but the whole time travel element makes me hesitant. Have a great week! Katherine I won’t be doing a full review but I did enjoy The Dream Daughter. The time travel is done really well the story was quite original. It held me – can recommend the audio version. And Marilla of Green Gables sounds interesting, since I only recently discovered Anne. Enjoy your books this week, Kathryn – and thanks for hosting! Sue I think you would be interested in this time travel one. I almost believed time travel was possible!! I hear ya; it can feel good to be away from the computer and to just enjoy an audiobook. I love how you are trying tai chi! You may inspire me to go back to yoga (just laziness on my part). Great on the Tai Chi…maybe I should try it again. I see they changed the cover on THE DREAM DAUGHTER. SUITCASE OF DREAMS and THE SPITFIRE GIRLS look good. I’m just finishing up The Gown and based on the books listed here- you might like it! Wasn’t The Dream Daughter good! I wasn’t so sure going in that it would be for me but I loved it. One of my favorites last year. GFY on your word! Glad you had a nice week in more ways than one. My word this year is “hope.” Suitcase of Dreams is on my list. Marilla is my first book, but I had to break away from it to review books I committed to. Looking to get back to it once I’m done. Hope you enjoy it. The Dream Daughter was so unique 👍🏻 I want to read Marilla too, how is it so far? I am enjoying the Marilla book Jaymi, very well written. Tai chi sounds awesome! and I love the look of the Rhys Bowen book! Have a great week Kathryn! I have heard Tai Chi is great for balance. I would love to try it. Thanks for hosting. I hope you have a nice week. I just noticed that two of your books have the word “dream” in it and the other two have the word “girls”. Perhaps you’re following a theme? I’ve been eyeing Marilla. I hope you’re enjoying it! Laura I never noticed that but now I am going to make a note of both those things!! I really want to read Dream Daughter. It sounds wonderful. So does California Girls which I have to review. Have a great week! I loved The Dream Daughter, too…and I am adding your other books to my list. Enjoy your week, and thanks for visiting my blog. Tai Chi is a lot of fun and so good for you. Glad you enjoy it. Looking forward to Susan Mallery’s book.